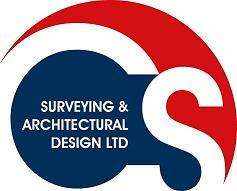 We are an RICS Chartered Surveyors practice and an RIBA Chartered Architects practice offering professional services on all scales of projects. We offer an unrivalled response on projects, with fast track for surveys where required. Usual timescale for a standard survey report is within 10 days subject to access and fee payment, however, next working day to visit the property and 24-hour turnaround can be arranged. Andrea was very quick to respond via email when I requested information and the surveyor, John, provided a detailed and thorough survey as well as phoning me to discuss the findings of the report. Really fast turnaround for conducting a survey, gave us verbal feedback so we could progress with the sale without waiting for the report. Very friendly, helpful and polite. Would recommend. Admin needs to improve customer service and ability to explain/converse properly in writing. Was like pulling teeth sometimes. Quick turnaround on survey visit booking and then verbal feedback. Surveyor was good at explaining issues verbally post survey. Still awaiting my written report tho (which vendors want before considering reductions) but its been over a week.